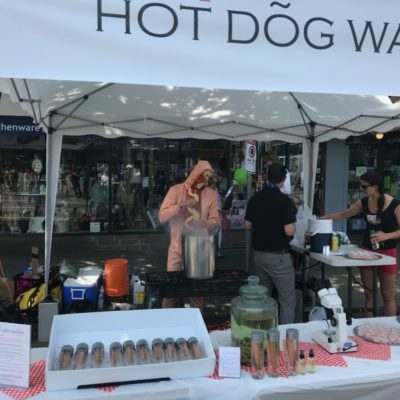 Hot Diggety Wow! 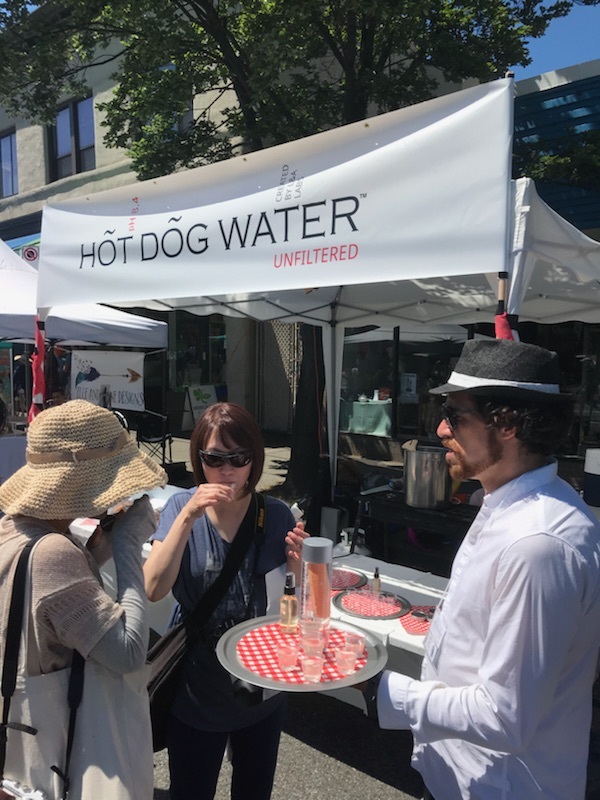 The Provibers met Hot Dog Water and the results were a resounding success. 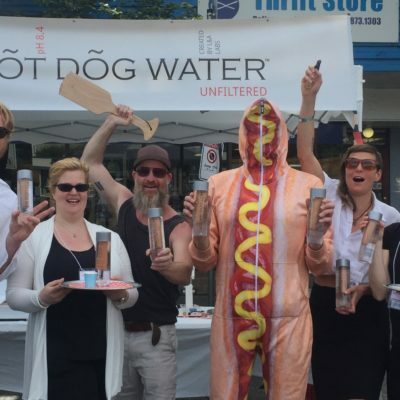 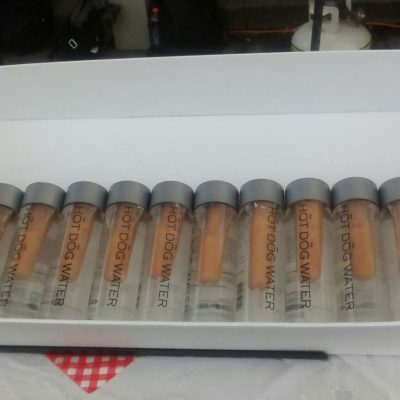 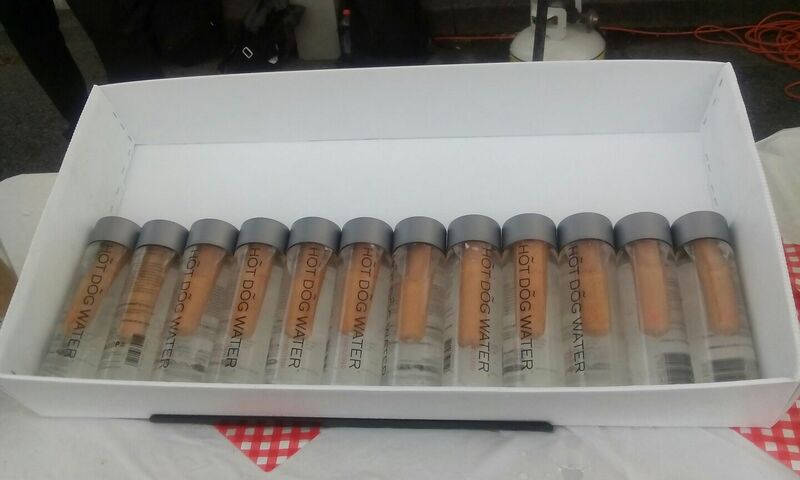 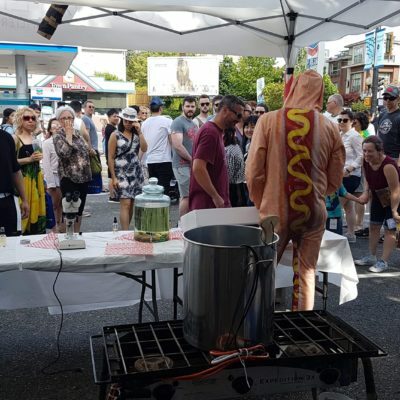 On June 17th, The Provibers supported Douglas Bevans’ art project Hot Dog Water. 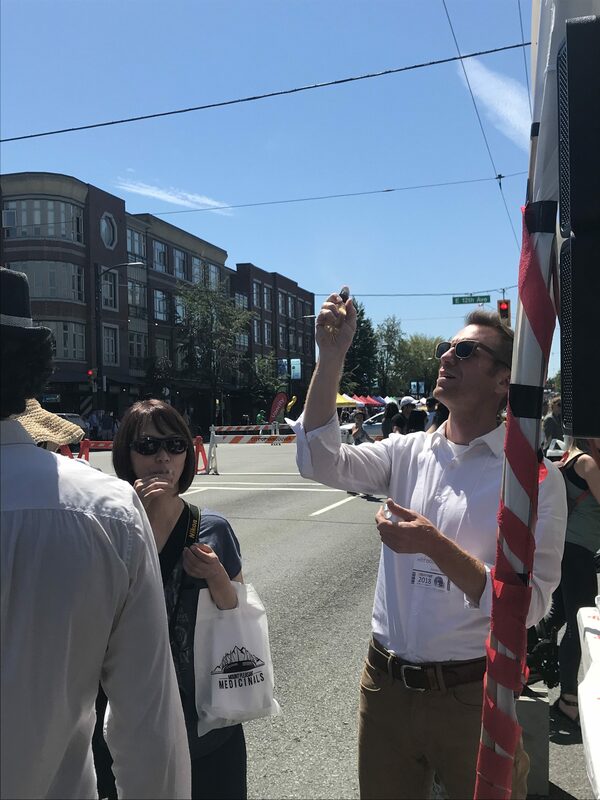 After months of planning, early that morning, a small faction of the community animators descended to the Main Street Car Free day to help set up the installation. 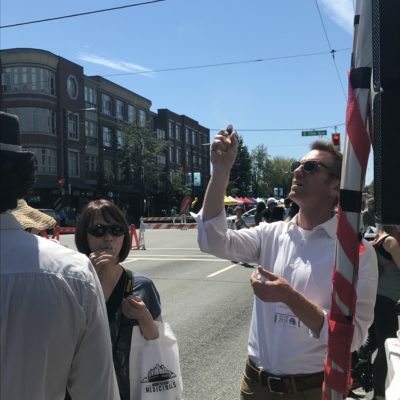 Even prior to the opening, passersby would cross the street to see what the group was up to. 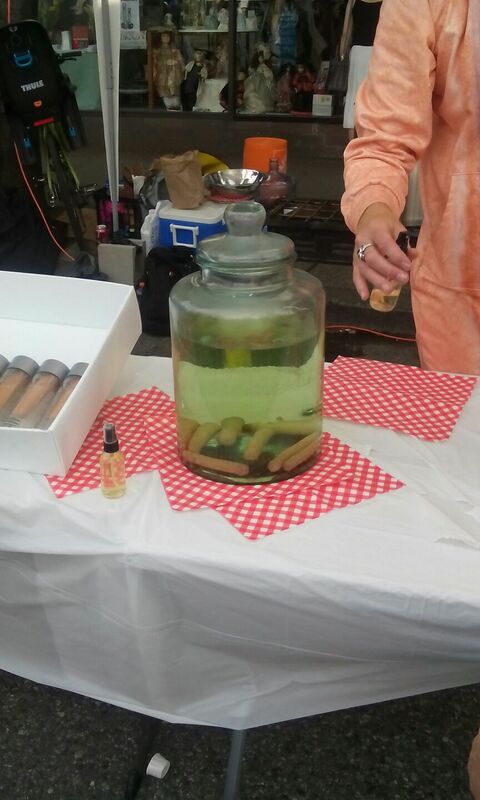 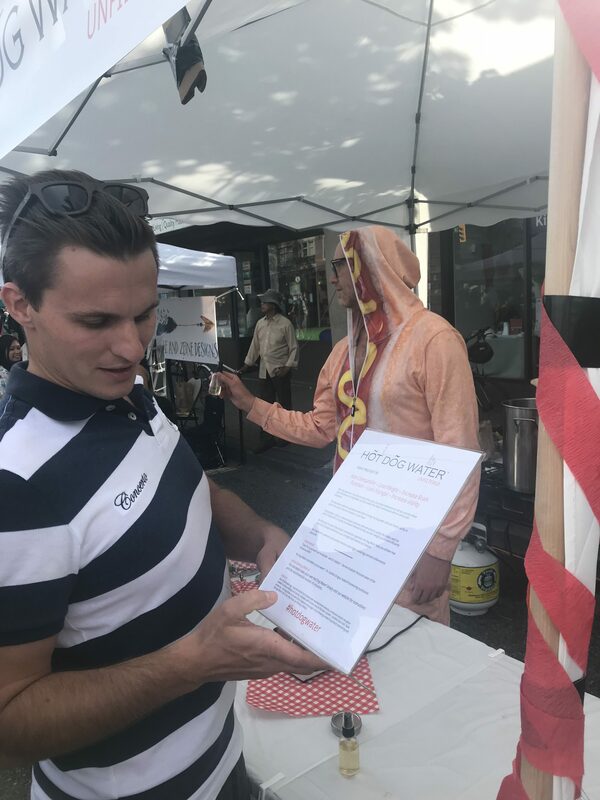 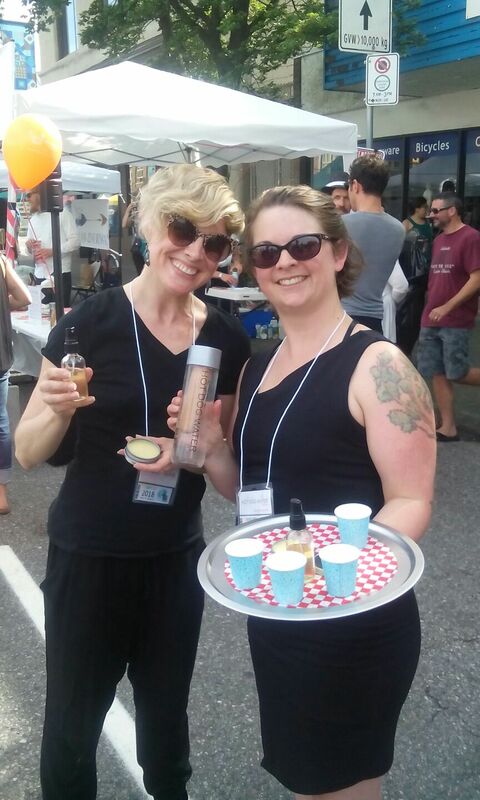 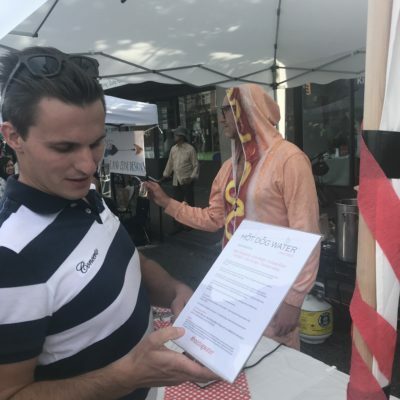 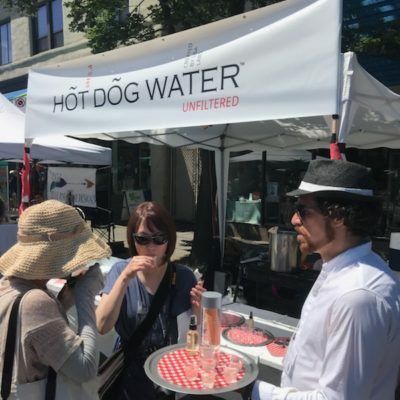 The Provibers helped set up the booth, supplied actors (“Extraction Experts”) who playfully nudged curious bystanders to sample the products, as they gave their pitches. 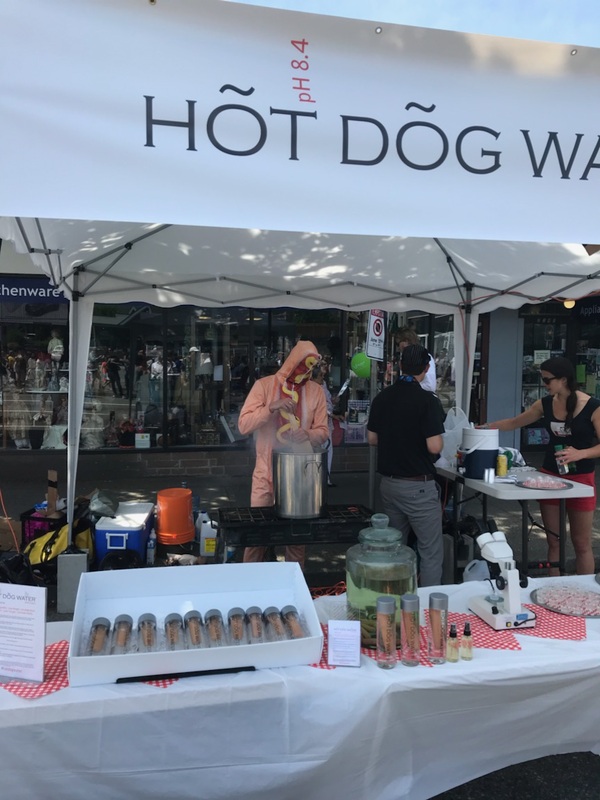 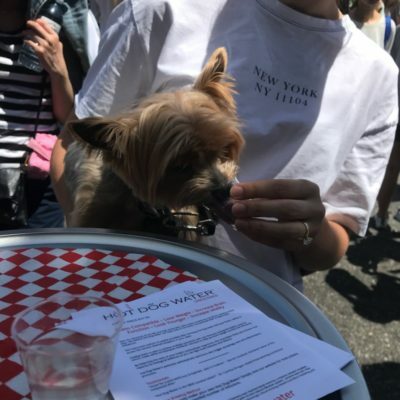 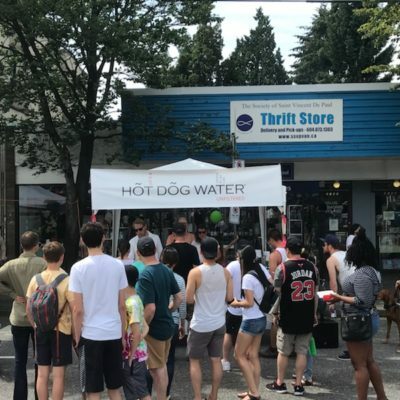 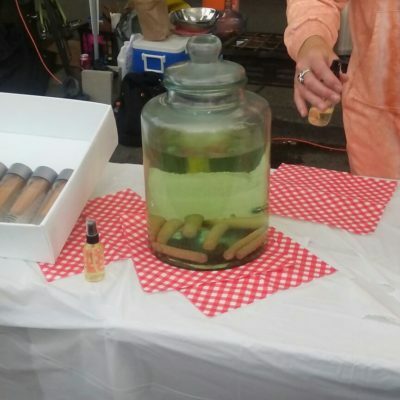 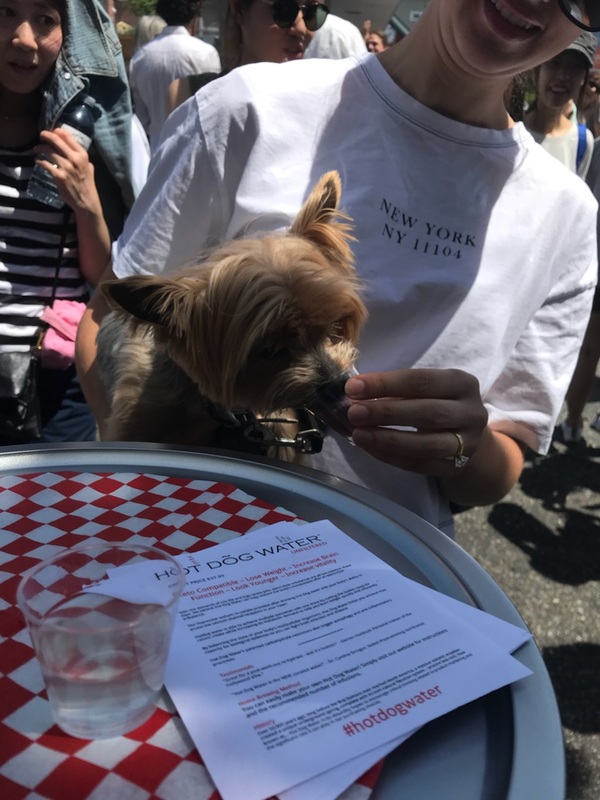 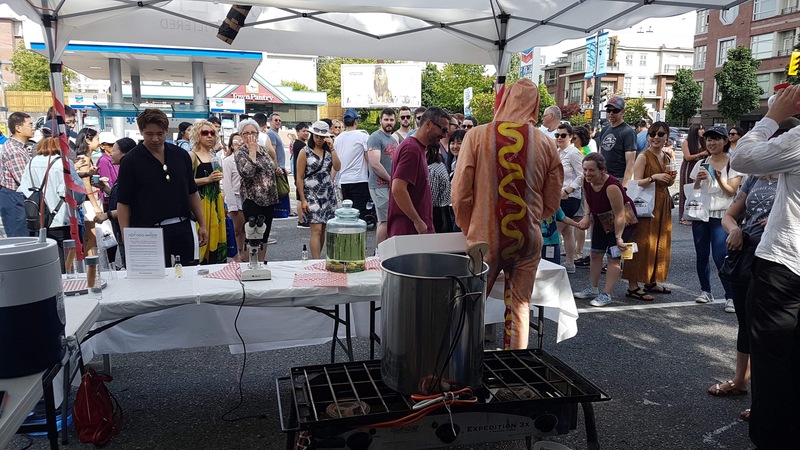 The team could also be found refilling at the Hot Dog Water stations and restocking other Hot Dog Water products such as Hot Dog Water Breath Freshener and Lip Balm. 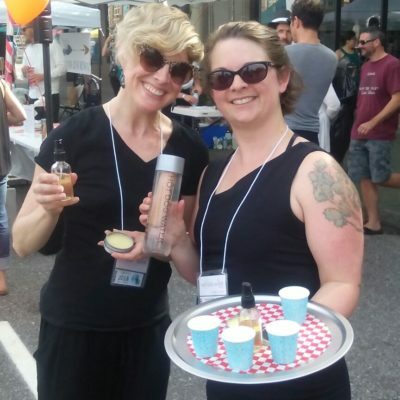 Also crucial to the project’s success was Proviber organizational support leading up to the installation. 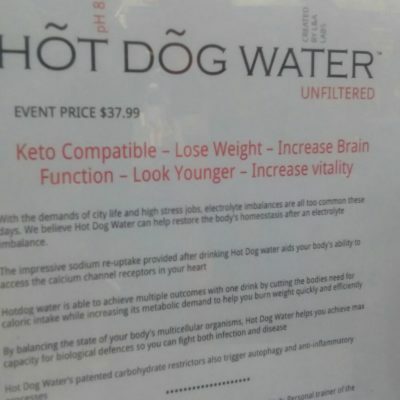 This art project toyed with the theme of the snake-oil salesperson, of fake news, and of the healthy lifestyle quackery that flourishes in this credulous age. 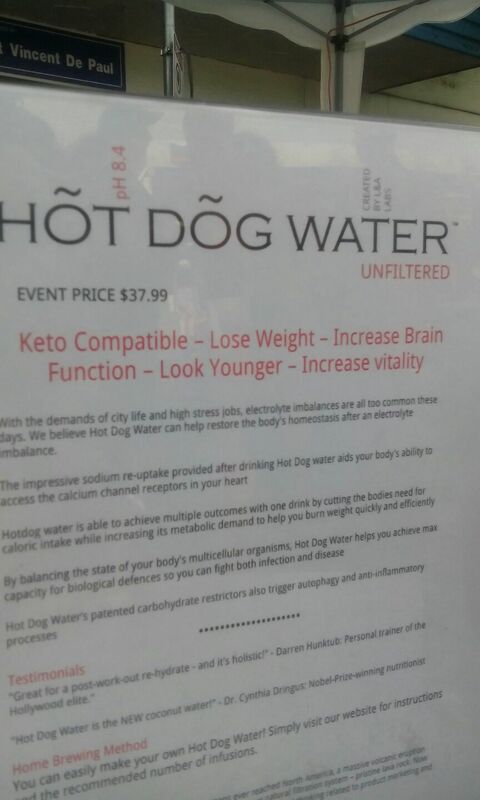 Hot Dog Water in its outrageousness created discussion regarding our collective vulnerability to product marketing and aimed to foster reasoned and informed decision making related to our purchasing choices. 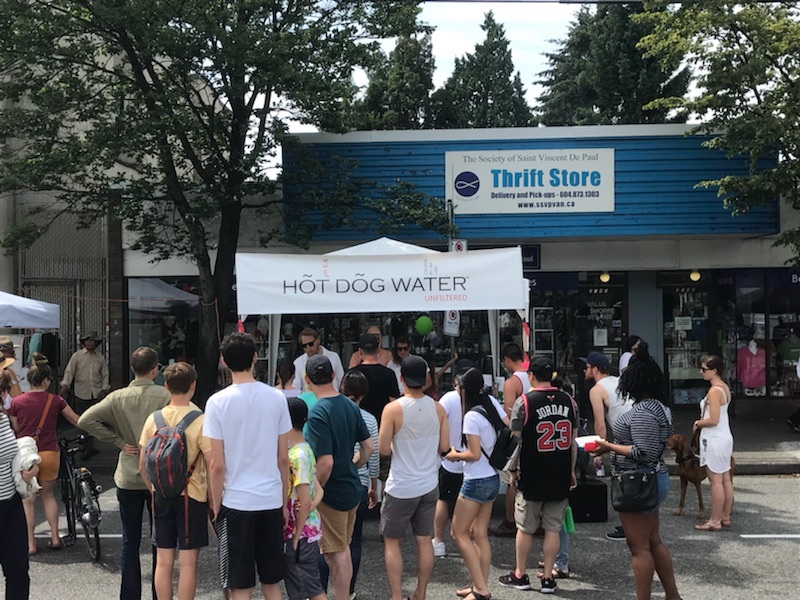 As evident by the virality surrounding the installation the messaging clearly resonated with many.